Grafton/Millbury – It is with deep sadness that we share the news of the passing of our dear mother, Marlene (Tessie) Perras, Oct. 10, 2018. She was at her home in Southbridge, surrounded by her loving family. She was 82 years old. She will forever be deeply missed. She was born Marlene Frances Fleming April 20, 1936 in Worcester, the daughter of Earl and Lillian Fleming. She grew up and lived most of her life in Grafton. Marlene’s interests included gardening, sewing, cooking, reading poetry and feeding the backyard birds. She was very artistic and enjoyed painting and also had a beautiful singing voice. She enjoyed going to Bingo with her mother and sisters. She was very proud of her Irish heritage. Marlene worked for many years at the Tredegar Corporation in South Grafton. 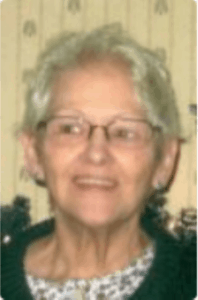 She devoted much of her time and energy as caregiver to her family. She loved her children unconditionally ’till her last breath. She was a kind, beautiful, smart, determined, loving and courageous mother. Her children were so very blessed to have her. She leaves her daughters, Deborah L., Darlene E., Dianna S., Desiree M., Dennise N., and son Earle W.; step-children Daniel, Joseph, Gary and Regina; 13 grandchildren; 18 great-grandchildren; two great-great-grandchildren; her sisters, Betty, Lillian and Sally, and brothers, Robert and David and their spouses; and nieces and nephews. She was preceded in death by her husband, Joseph R. Perras, and former husband, William R. Bathgate; sons William R. Bathgate II and Jeffrey W. Bathgate; step-son John Perras; her parents, Earl and Lillian Fleming; sisters Judith, Janet and Nancy; and brothers Earl, Kenneth and William. The family will receive friends Saturday, Oct. 13, from 10 a.m. to 12 p.m., at Roney Funeral Home, 152 Worcester St., North Grafton, followed by a brief prayer service at 12 p.m. A private graveside interment will be held at a later date. Memorial donations may be made to the American Heart Association at www.Heart.org. A Book of Memories to share a memory of Marlene or message of sympathy with her family is available online at www.RoneyFuneralHome.com.